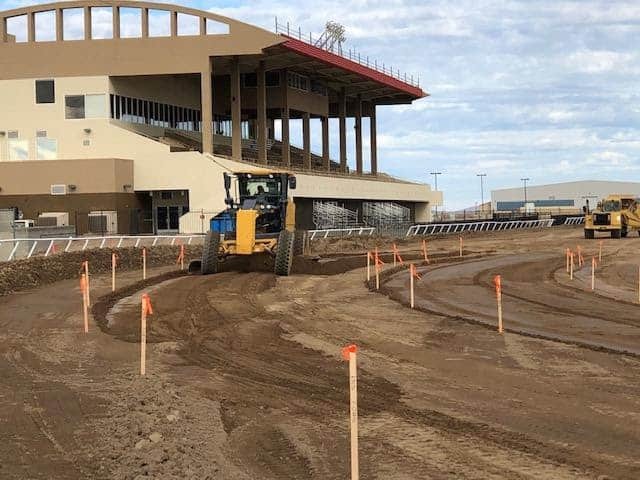 The presence of graders and other heavy equipment is a sure sign that Arizona Downs is on track to bring live horse racing back to the region for the first time since 2010. Internationally prominent racetrack consultant Dennis Moore started the process of putting in a new racing surface on Jan. 3. He said he has plenty of time before Arizona Downs’ meet scheduled to begin in late May. Moore brought in surveyor Dean Johnson, a veteran of racetrack work across the country, to determine the existing grading and staking out the proper grades for the mile dirt surface. Moore and Johnson worked on the homestretch for a week and will be back in February to work on the two turns. The weeds covering the track surface were cleared before Moore began his work. He said he had access to the original track plans and could see what the intended grades were, including the cross slope to ensure proper water drainage when it rains. Moore said that’s a 2 1/2-percent cross slope — or gradient — in the straightaways and 5 percent in the two turns, starting from the inside and subtly rising to the outside. Moore has a time-tested formula regarding the subtle banking on turns to make sure that horses don’t drift out through centrifugal force. Track surface material can wear out and does not necessarily stay in place over time. 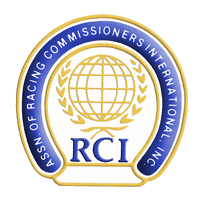 Moore said the samples will be tested by the University of Kentucky’s Mick Peterson and his Racing Surfaces Testing Laboratory, a nonprofit organization that provides research, testing and consulting to the horse-racing industry. 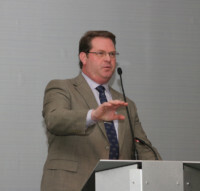 Moore, who is track superintendent at Del Mar Thoroughbred Club near San Diego in addition to his consulting work, said American tracks for the most part are comprised of sandy loam with silt, clay and sand. “It’s just that some tracks have more of one or less of another,” he said. “We’re a much drier climate, especially during the summer months when we’re going to be running. So we’ll look at organics, see if that’s going to be an option or not. The important thing is we’re trying to get a composition where the track doesn’t set up real hard. At the same time we don’t one that gets too loose. We’ll figure that out through the tests. Johnson was familiar with the track because he did the surveying to put in the original Fontana Safety Rail on the inner boundary of the racetrack back in 2001, when the facility was built as Yavapai Downs. The surveyor said his first trip back for Arizona Downs was in September to make measurements. J and J Equine Enterprises, an affiliate of the Phoenix-based retail investment and development company JACOR Partners, acquired the old Yavapai Downs property a year ago, renamed it Arizona Downs and is in the process of making extensive renovations to the grandstand and physical plant. Arizona Downs is open daily at 9 a.m. for betting on tracks across the country and has off-track-betting operations at Connolly’s Sports Grill and Bull Shooters Sports Bar & Grill in Phoenix, The Museum Club in Flagstaff and Gallagher’s Dining & Pub in Lake Havasu City, with more to locations to be added.